There are two things in life that I will never believe I am doing right. The first is a messy bun. And the second is crème brûlée. 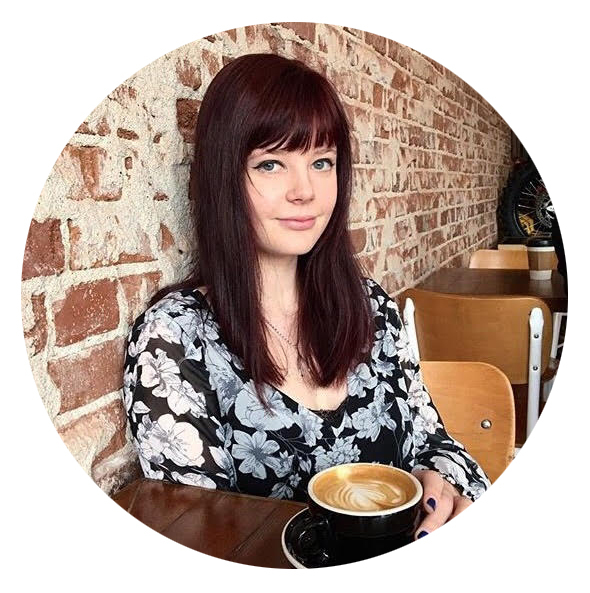 While the first is a little more forgiving in that messy buns are *supposed* to be messy – albeit, the perfect level of messy – the second is less so. I’m not going to lie to you, there are like, a lot ways to mess up crème brûlée, and I always think that I’ve royally screwed up until I take the first bite. A few tips, just because I think they are helpful! Use room-temperature eggs. I like doing this so that the eggs don’t scramble when you add the hot cream! You want to mix everything thoroughly, but don’t overly-whisk it. It will be bubbly but should not have too much air. 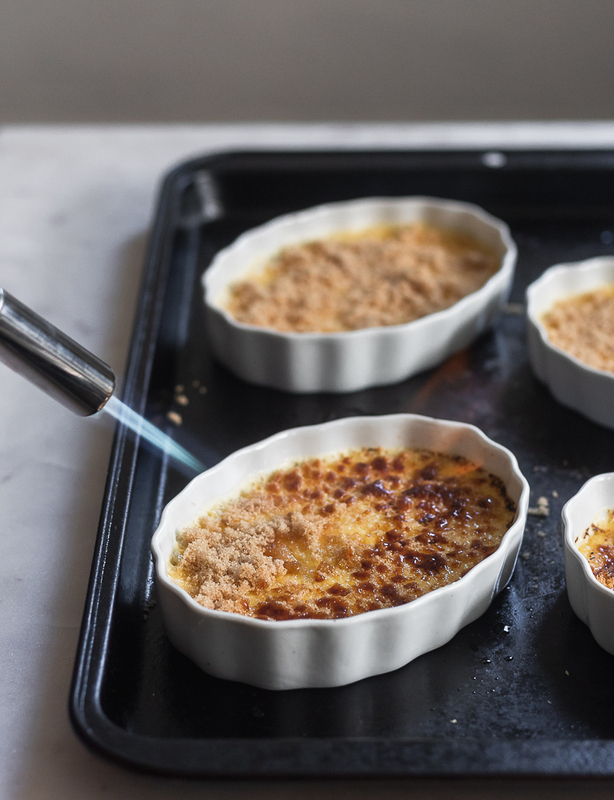 Use shallow crème brûlée ramekins rather than the deeper ones. The deeper ramekins allow for uneven cooking. Place the ramekins on the sheet pan in the oven, and then add the hot water with a tea kettle. Trying to place a sheet pan filled with hot water in the oven is a disaster. Remove each ramekin from the oven using a large spatula. I like using my grill spatula, and again, you don’t have to remove a pan full of boiling water from the oven. Lastly (I think?? ), I really recommend using a torch for the sugar. You can technically use the broiler, but it’s sketchy. Also, I like the flavor and texture of brown sugar, although it does result in some uneven torching. You can use regular sugar for a nicer presentation! 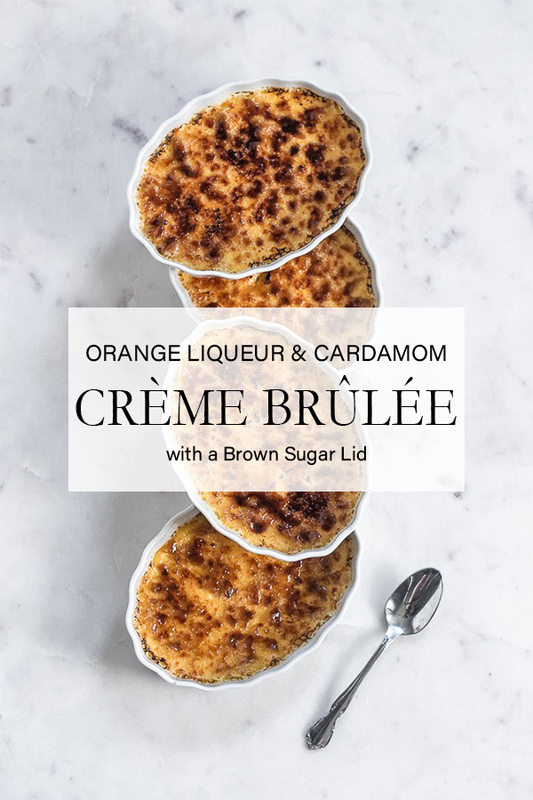 This crème brûlée is super easy to throw together and makes an amazing dessert for a dinner party or at-home date night. A few notes: I usually use Triple Sec, but any orange liqueur will do. I also usually start with 1/2 tsp. of cardamom and add more if I feel like it. Since cardamom is so strong, a little goes a long way. Last thing! I have never added orange zest to this recipe, but I bet it would be amazing. If you feel like adding more of an intense citrus flavor, I'd start with 1/2 tsp. orange zest and go from there. Preheat oven to 300* F. You will also want to start boiling a large kettle of water. Meanwhile, whisk egg yolks and sugar in a medium bowl until thick and pale yellow (about 3 minutes). Next, (if using) split open the vanilla bean, and scrape out the seeds. In a small saucepan, combine the vanilla seeds, vanilla bean, and heavy whipping cream. Heat over medium, and let the mixture simmer for two minutes. Remove from heat, and allow the mixture to infuse for another two minutes (infusion is not necessary if you are not using a vanilla bean). Remove the vanilla bean, and discard. Slowly add about half a cup of the vanilla-cream mixture to the egg mixture, whisking vigorously to avoid scrambling the eggs. Once tempered, slowly whisk in the remaining vanilla-cream mixture until frothy. Add the orange liqueur, cardamom, and vanilla extract (if using). Divide the mixture between six ramekins. Place the ramekins in a 9x13 cake pan or a deep baking sheet. Place in the oven, and immediately pour the boiling water in the pan, around the ramekins, avoiding getting any water into the actual crème brûlée. You will want the water to come up about halfway on your ramekins (this will keep the crème brûlée from becoming sweet scrambled eggs). Bake, checking for doneness around 30 minutes. When the crème brûlée is finished, it will be jiggly, but not liquidy. 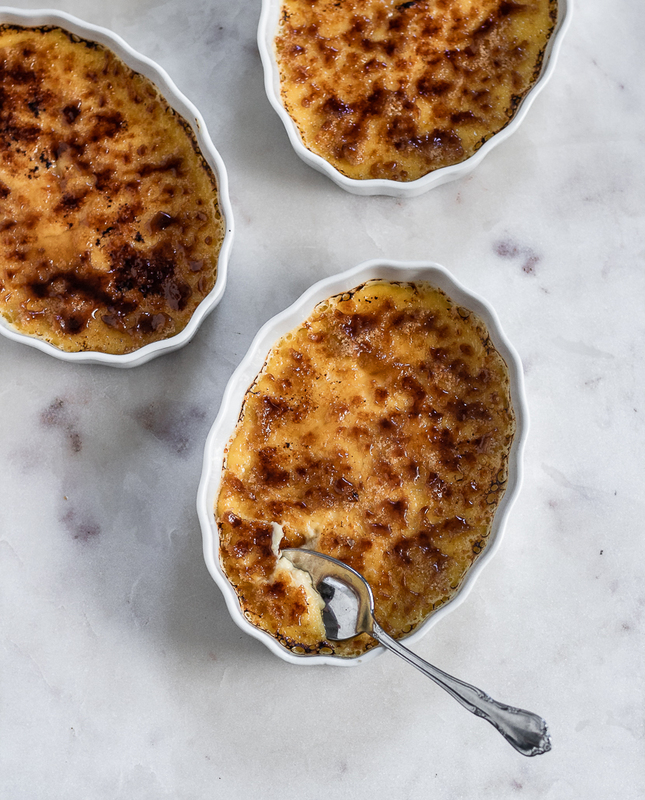 This may take up to 50 minutes depending on the depth of your ramekins, but do not let the crème brûlées brown. 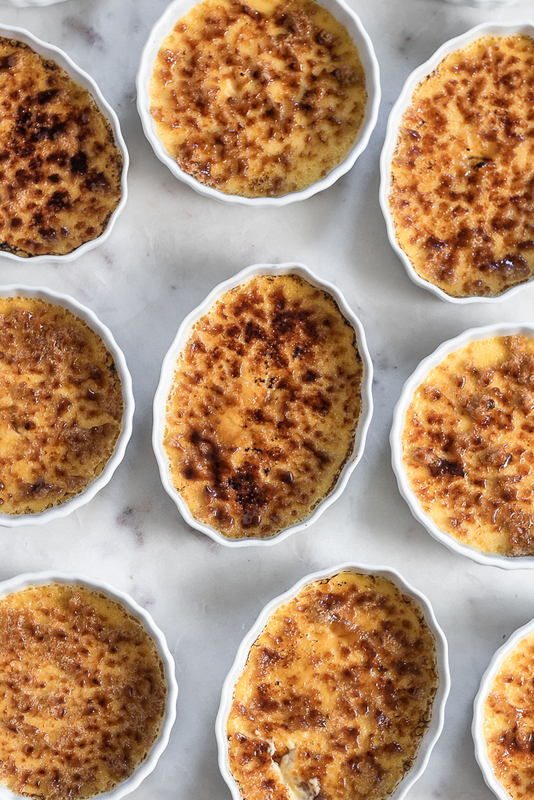 When they are finished baking, remove the crème brûlées from the oven by sliding a large spatula under each ramekin. Let them cool at room-temperature for about 30 minutes, and then refrigerate for at least one hour. 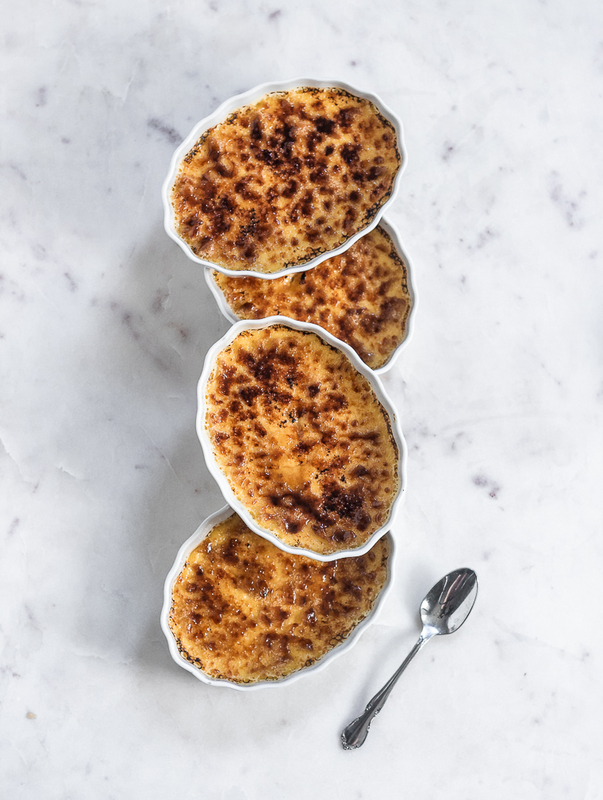 Before serving, sprinkle each crème brûlée ramekin with 1 tablespoon of brown sugar. Using a torch, brown each crème brûlée until the sugar is melted to your desired level (I like mine very caramel-y, hence the dark brown spots). Alternatively, you can do this under a broiler in the oven, watching it very carefully and pulling it out right when the sugar melts. Serve with whipped cream and berries, if desired!